Description: This granite sculpture is a small box-shaped monument with an elaborate inscription on its top. 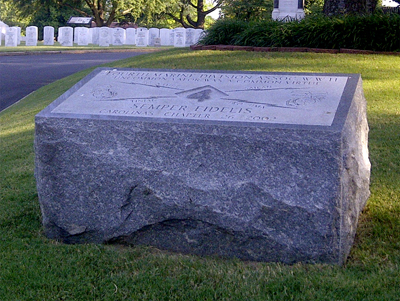 The monument is approximately 4 feet long, 2 feet wide, and 3 feet high. 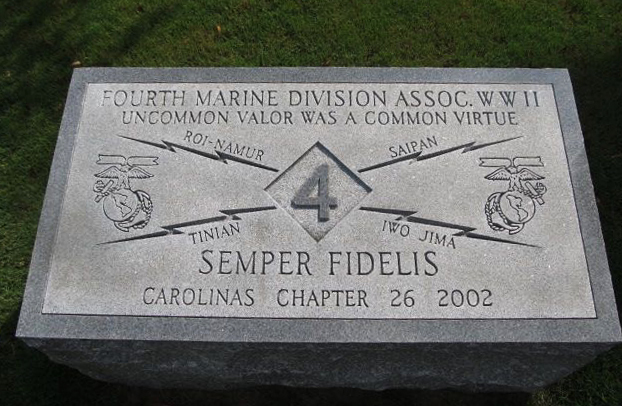 Included in the inscription is the "Fighting Fourth's" (4th Marine Division) logo in the center with the Ground Combat Element logo on both sides. Lightning bolts emerge from the four sides of the Fighting Fourth's logo towards the four corners of the monument's top face. The top face is polished, and the sides have been left rough. 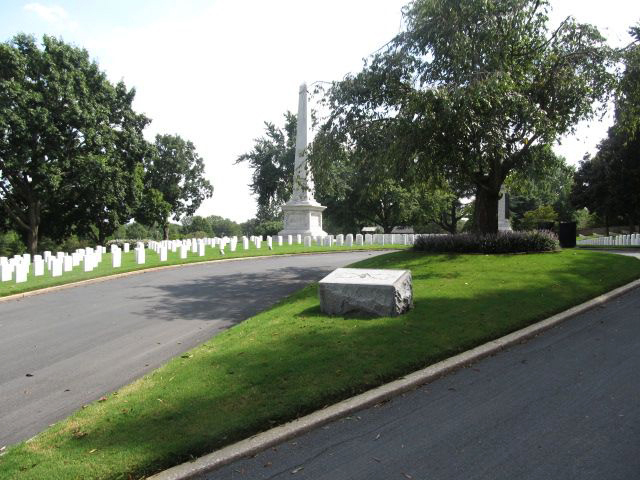 Landscape: The monument is located in the Salisbury National Cemetery.